Portable routers exist to help travelers gain a great experience when going online. While there are numerous products in the market, picking the right one can be challenging, considering the different preferences and needs of customers. 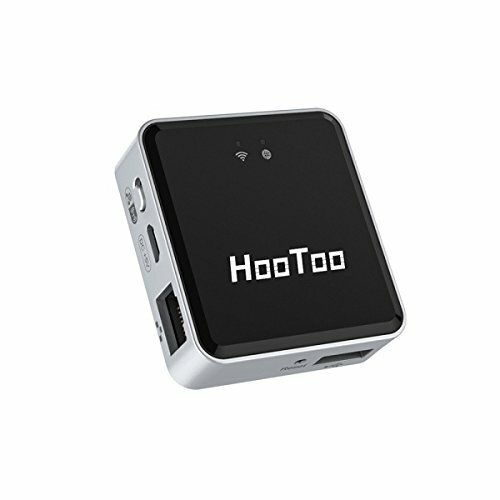 In this article, we are going to discuss HooToo Wireless Travel Router. It comes with a built-in power bank that can charge smartphones three times. It allows users to view media files using their connected devices. It lets users transfer their files between mobile devices and USB storage devices. It comes with MTK7620 core that lets users plug a number of USB hard drives or flash drives containing USB hubs. It has the capacity to let users create a secure Wi-Fi network. It converts wired networks to wireless in an instant. It provides convenience to its users by instantly converting wired networks to wireless. Allowing users to connect flash drives and hard drives to it provides convenience as well, thanks to the MTK7620 core. Allowing users to transfer files within their devices and share them with families and friends helps them maximize their experience with the product. It allows you to use your smartphone for long hours due to its capacity to function as a power bank. It provides security by enabling users to create their own Wi-Fi network. Its battery holds really well. It is simple to set up. It generally works well anytime and place. It is best for users who have an active tech lifestyle. Its interface can be relatively clumpy. It is not advisable to charge too many devices using this product. TripMate Titan’s HooToo Wireless Travel Router aims to enable its users to do various things. It makes creating own Wi-Fi network possible, hence the security. It likewise enables users to charge their phones through it, functioning as a power bank. Also, it allows sharing files with families and friends. This product is best for users who are always on the go and maintain an active tech lifestyle. It is simple to set up and its battery holds well. It works great at any time and place, given its high quality. However, you should take note that the product may not work well if you charge too many devices using it. Its interface is also a bit clumpy. But the good news is you can easily solve these issues, which are not really big problems. All the traits discussed above indicate that HooToo Wireless Travel Router could actually be a good buy. It has a number of functions, which allow its users to do lots of things. It provides convenience and its high quality enables it to work great anytime and anywhere. The product comes with some downsides, but they are minor problems that are outweighed by its upsides. If you consider buying this item, make sure to do enough research to be able to know what to expect. Needless to say, the internet has a lot of benefits to offer. When you want to know something about anything, you can go online and look for the most reliable source in the search results. The Internet likewise allows you to easily communicate with your family and friends and even know new people. This is actually the main benefit you can enjoy when using a wireless network. You can go online while staying in your bedroom, in the living room, or in any corner of your household. Basically, increased mobility provides a lot of ease and convenience to users. Whether you are doing some online tasks with your friends at home or working in the office, collaborating becomes easier with a wireless network. You get to have more freedom and your working process becomes faster. We are not talking about the areas in your household or office, in this item. We are pertaining to public places like coffee shops, restaurants, etc. Through public Wi-Fi hotspots, you can do whatever you want or need to do online, wherever you are. Just be careful when connecting to public Wi-Fi to avoid compromising your security.